Extraordinary Off-Road Performance. What it is: A combination of outstanding off-road traction, robust construction and aggressive aesthetics that provide race-proven performance. Who it's for: 4WD enthusiasts who want the latest in top off-road performance. Incredible on-off road performance. More transverse and linear flex zones across tread improves off-road traction. 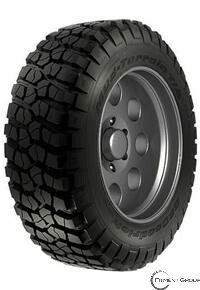 Large sidewall lugs add muscle to the sidewall and improve traction in soft soil conditions.